I have just come back from seeing Gurdas Maan live on his Innovation Tour. I must say I am very impressed. Gurdas Maan over the years has innovated his music and style numerous times. He has, however, remained true to his art. If we look back over time he has experimented with various musical styles from very traditional melodies to pop. We look back at the humble beginnings of his career,he has overcome many obstacles to get his message across. 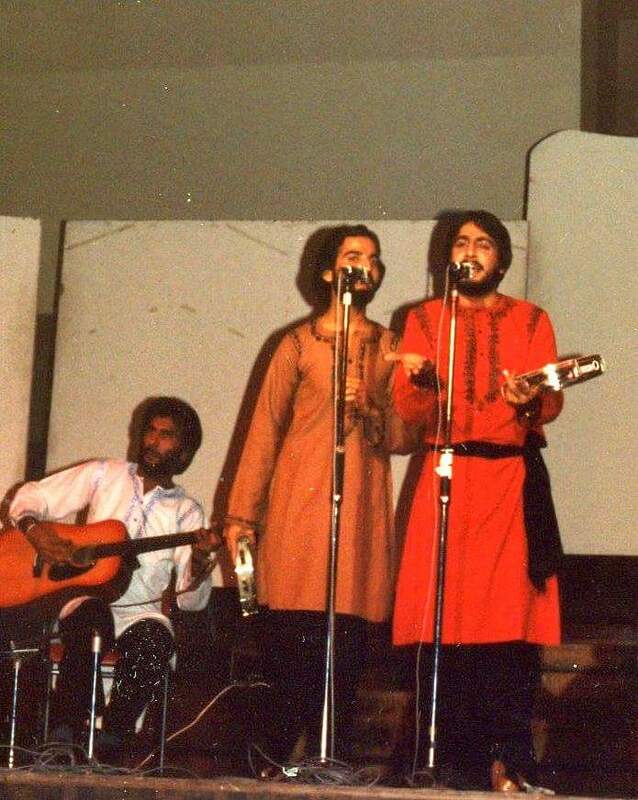 For example on October 3rd 1982, at the Civic Hall, Wolverhampton, Gurdas Maan performed his first concert in the UK. Parminder from Azaad Group recalls the event. “The venue had a capacity of 3000 and only him and 30 or 40 other people turned up. Other artists declined to perform but Gurdas said that these people who made the effort and paid good money won’t be disappointed, the show must go on.” This demonstrates the integrity and determination of the man. Around this time “Ke Bano Duniya Da” came out. This song has been reinvented many times. Again he speaks about the world he sees in front of him in his characteristic, humorous but deeply insightful way. He encourages us to protect ourselves from the pitfalls of globalisation, and to protect ourselves from going down a blind alley. Over 30 years ago he saw the beginnings of the decline of not just Punjab but in the rest of the world. The world was being gripped by materialism and the worst aspects of westernisation. Here he speaks out about the decline of innocence the loss of virtue. He talks about the girls who have been seduced by western consumerism and the boys are not interesting in an honest day’s graft anymore. What will become of this world, only god himself knows. He shows how the changing fortunes of time can be unforgiving. With his creativity gives us an image that awakens new awareness. Gurdas says, its ok to learn about new languages, in fact you should learn, but don’t drop something so quickly the grass isn’t always greener on the other side. The verse here where he says ‘hello, hello’ always brings laughter from the audience. All these issues that Gurdas highlighted over 30 years ago are common in Punjab now. This is demonstrated in growing tensions, lack of education and opportunity, all contributing to the state of Punjab today. 30 years later he reinvented this song. The lyrics have changed somewhat, but the message is essentially the same. He is asking the same questions. This time he is accompanied by Diljit Dosanjh to create a truly epic collaboration. You can see how overjoyed Diljit is to be singing with Gurdas. Diljit who is clearly a mega superstar in his own right looks like the cat who got the cream. His face is filled with joy as he looks across at the living legend. One of Diljit’s life goals have come true, to be on stage with Gurdas Maan. What a treat it is for the international Punjabi community, that they are both doing sell out shows, one in the UK and one in Canada. You can see how far Gurdas has come from 1982, when he had a crowd of 30-40 and this latest version has over 24 million views. In this version the following the lines are particularly poignant. A profound picture is conjured up in the mind. Punjab as we all know is the land of the 5 rivers, Panj Ab. there is the Jhelum, Raavi, Sutlej, Beas, and Chenaab. After partition, these rivers were split. Three became part of Pakistan and two part of India. Two of the rivers in Pakistan are asking about the well being of those on the other side of the border. To create that image takes a deep level of thought and understanding of the situation. Now in 2017 Gurdas has reinvented himself and this song. The innovation tour has a new feel to it. Gurdas experiment with new visuals, new sounds, whilst maintaining the usual high intensity and atmosphere. The new band are edgier, more contemporary, deeper bass, new acoustics. It is great watch, as the shows go on, the rapport and connection developing between Gurdas and the band. A new sound for a new age of Gurdas. He continues to grow from strength to strength.